The origination and “transfers” of documents is rife with forgery and fabrication. It’s not the exception. It’s the rule. It’s the only way that foreclosures could be pursued. The question is “Why?” This is an industry that basically created all of the documents and standards for custody, control and transfer of those documents. Why did they need to forge or fabricate anything? The answer is the complete absence of a money trail, except for payment of fees, commissions and bonuses. Which brings us to the essential question of why would any document proffered by a bank or servicer be subject to any assumptions or presumptions. It’s in the public domain. The likelihood that the document is forged or fabricated or both is somewhere around 90%. There should be no presumption. The party proffering the document should be required to prove every element of foundation that would ordinarily be skipped because of a legal presumption. Forcing a borrower to prove that the document is false is not equal protection under the law — especially when knowledge is asymmetric — only the banks know the truth. Employees in Canada’s financial industry are speaking out about falsifying documents, telling Go Public that potentially criminal acts — like forging and photocopying customer signatures, adding initials to blank documents and using Wite-Out to conceal information — are more common than most people would think. “It was easily 85 per cent of the back sales team doing it,” says a former CIBC financial services representative, speaking about the last branch in which she worked, but adding that forging signatures on documents occurred in other branches she worked as well. 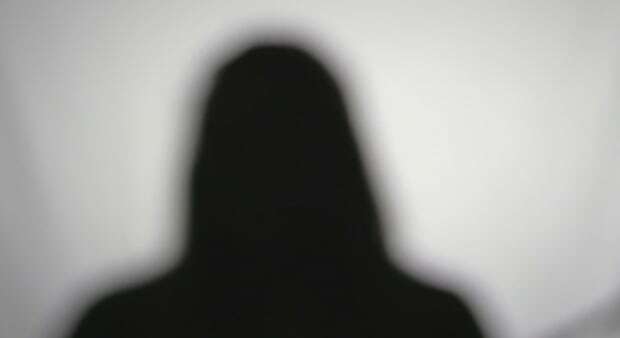 CBC has agreed to conceal her identity. The former employee, who left the bank last spring, says when she couldn’t meet sales targets, her manager told her to forge customers’ initials so it appeared that they had agreed to purchase insurance when they applied for a credit card, then cancel it a week or so later. She also says a financial adviser who handled wealthy clients asked her almost two dozen times to forge customer signatures for insurance on loans, telling her his clients would never notice extra charges. She says she finally quit because of stress and growing remorse. A financial adviser who recently left TD Bank says he often witnessed his manager copying customers’ signatures onto documents using “signature cards” on file. He himself would scribble over the dates on people’s credit checks, and then black out the scribbles with thick felt pen so no one could tell he pulled an Equifax report without a customer’s knowledge — a practice he says his manager demonstrated on a blank piece of paper. “They were showing you [how to do it], they were teaching you. But they would never say that they told you to do so,” says the former TD employee. 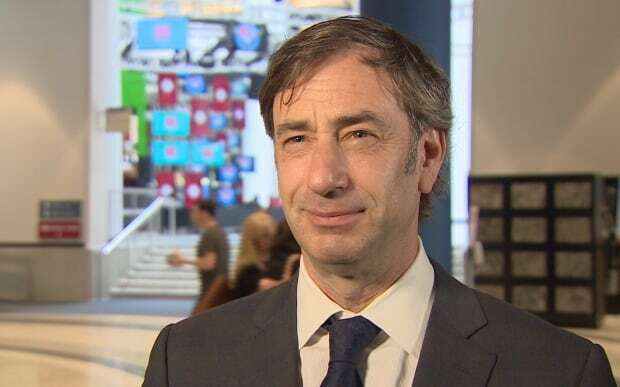 TD Bank also declined an interview but said in a statement that it takes the allegations “very seriously” and such behaviour “would be a significant breach of our code of conduct” subject to disciplinary action, including dismissal. 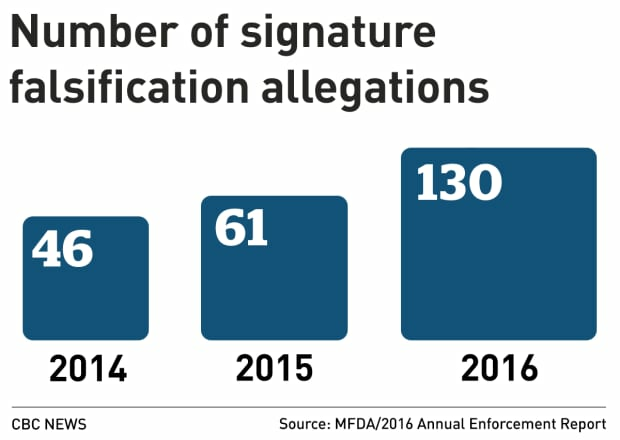 In its annual enforcement report released last week, the Mutual Fund Dealers Association of Canada (MFDA) says “signature falsification” was the primary allegation in 130 cases opened last year — more than double the number of cases in 2015, and almost three times the number it investigated in 2014. 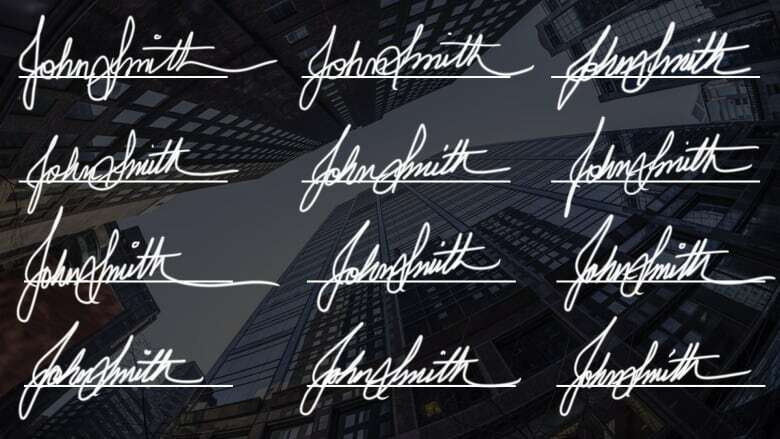 Financial consultants usually forged signatures for the client or consultant’s “convenience,” the report says, and the number of forgery cases has increased due to improved detection by compliance departments within financial firms. The problem of forging signatures was concerning enough for the MFDA to issue a in January — an update to similar bulletins issued in 2007 and expanded on in 2015. It listed the deceptive methods people in the industry are using and warned against them, including copying a client’s name on a document, cutting and pasting a signature, photocopying to “re-use” a signature, or using correction fluid to alter information on a document without a client’s consent. Although people in the financial industry have been found guilty of falsifying documents in recent years, few have served jail time or paid hefty fines. Ten years ago, 97-year-old Harold Blanes says he asked his financial consultant to put about $400,000 of retirement savings into GICs — a safe investment, with no risk. Blanes says his financial consultant ignored a box he had ticked and initialled, indicating he only wanted to invest his savings for a short term. Instead, documents show that the box next to it was marked with a squiggly line — supposedly someone’s initials, says Blanes — allowing the consultant to invest his money for six years. She ended up putting it into mutual funds that tanked when the market crashed in 2008. After years of fighting with those managing his money, Blanes’s initial investment was returned. He is now taking his financial consultant to court, estimating he has lost $136,000 in compound interest. His son, Alan Blanes, says he thinks regulators need to crack down on financial employees who fudge documents and forge signatures. Ottawa-based lawyer Harold Geller says he is contacted by “hundreds of people a year” who say those giving them financial advice have lied, cheated and, in many cases, falsified documents and forged signatures in order to line their own pockets or boost a bank or investment firm’s revenues. Even when shady practices are caught, Geller says it can take about two years to reach a settlement; five years if the case goes to court. Either way, he says, investors are often muzzled by a confidentiality agreement. In a report released today calling attention to the issue of forgery, the Small Investor Protection Association says there is “absolutely no doubt” that the practice of document falsification is widespread. “The truth is Canadians are losing billions of dollars of their savings every year due to systemic fraud and wrongdoing by the regulated investment industry,” the report reads. Buell says SIPA wants a government inquiry into investor protection. Meanwhile, the former CIBC employee who routinely forged signatures says she’s relieved to have left banking.